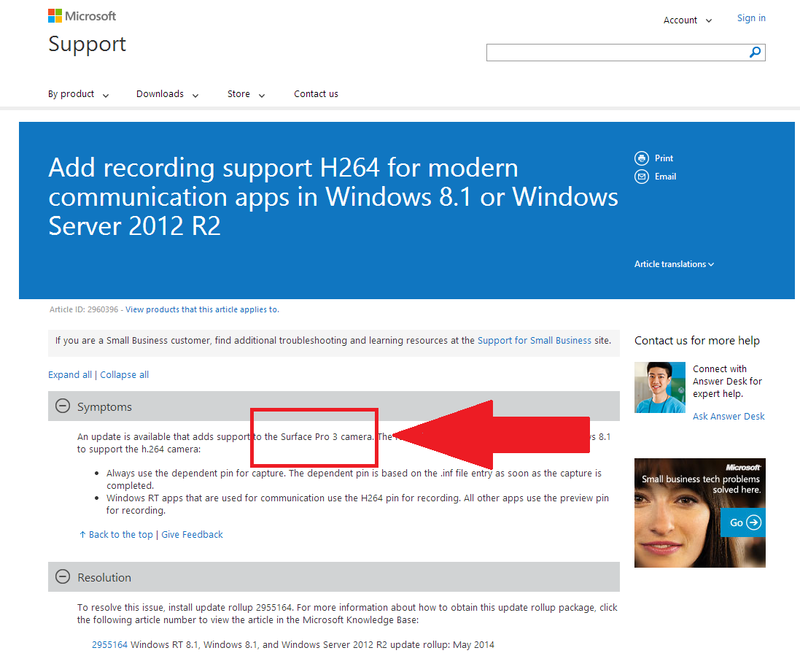 This article originally published at 8:30 A.M. PT 5/14/14, but has been updated with comment from a Microsoft representative. 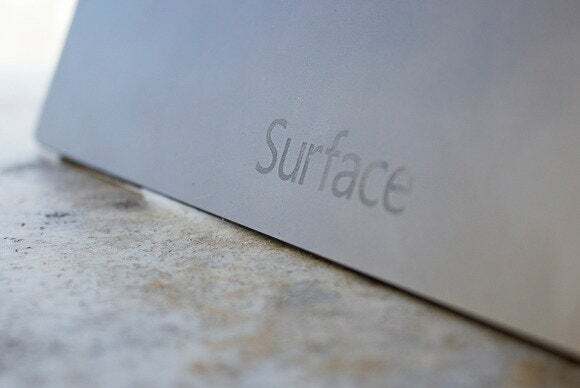 It's no secret that Microsoft is holding a "small" Surface event next Tuesday, but exactly what's going to be revealed is still shrouded in mist. Numerous leaks suggest that the long-rumored Surface Mini will get an introduction that day; in addition, if a new Microsoft support page published Tuesday is any indication, Microsoft's micro-tablet may be joined by a bigger cousin: The website specifically name-checks the Surface Pro 3. The existence of the page, which was first reported by The Verge after being tipped off by Twitter user @notcassim, details a Windows 8.1 update that "adds support to the Surface Pro 3 camera." But recent reports suggest that Intel will indeed be part of the May 20 event, with CNET's sources suggesting that the Intel-based Surface reveal will include a new power-optimized Haswell processor. The Haswell architecture is reserved for PC-class Core chips, such as the Core i5 processor found in the Surface Pro, Surface Pro 2—and maybe the Surface Pro 3? The Surface Pro 2 was launched in October with a then-new Haswell processor, and Microsoft has diligently improved its battery life and processor in the months since, fine-tuning the tablet-as-a-PC experience. You'd expect Microsoft to wait on rolling out a Surface Pro 3 until Intel's next-generation Broadwell processors are available—after all, Intel claims the chips to be 30 percent more power efficient than their Haswell predecessors—but manufacturing snags have already delayed Broadwell's production and Intel won't comment on when the new chips are expected to ship. If a Surface Pro 3 indeed launches with a new Haswell chip, it could indicate that Intel is more behind schedule than it's letting on. 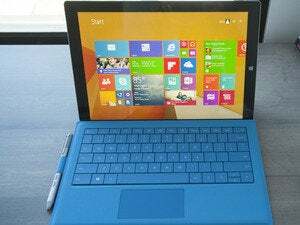 But if a Surface Pro 3 is announced with an early-access Broadwell chip, all those worries could blow away in a jiffy. Microsoft's slip-up adds credence to reports that multiple Surface models will be revealed at the event. Beyond a potential Surface Pro 3 reveal, the company is expected to launch an ARM-powered Surface Mini running the tablet-centric Windows RT operating system, and possibly an Intel-powered "Pro" variant of the Surface Mini. No matter what's unveiled on May 20, PCWorld will be at the event to bring you the news as it happens.